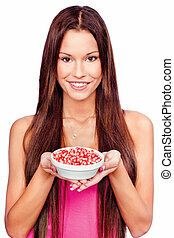 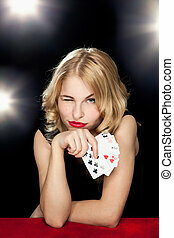 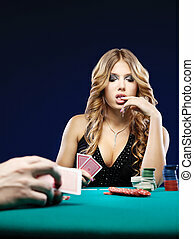 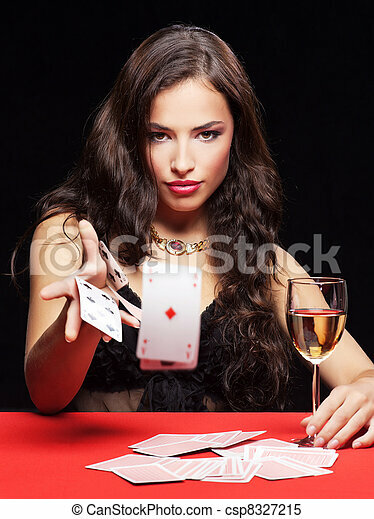 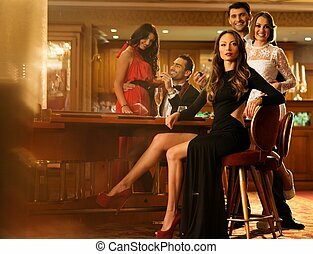 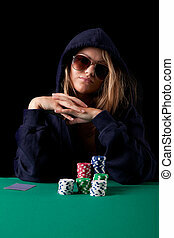 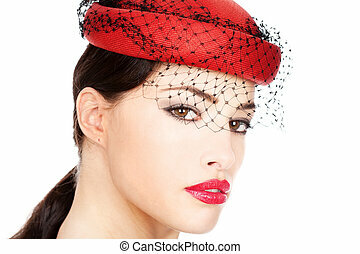 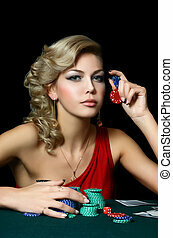 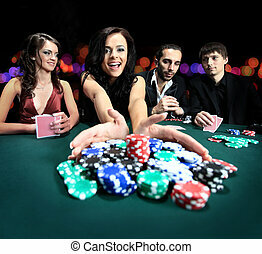 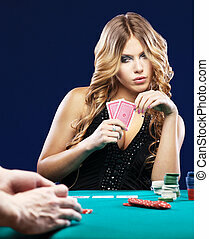 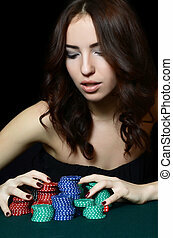 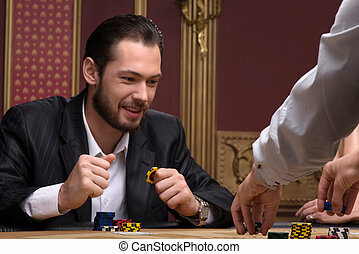 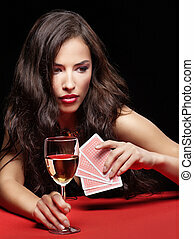 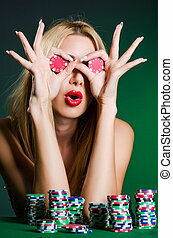 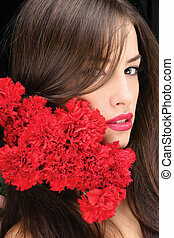 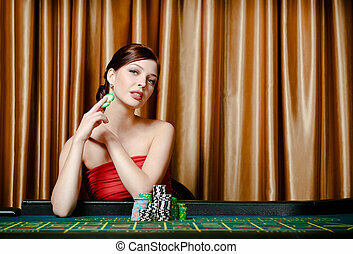 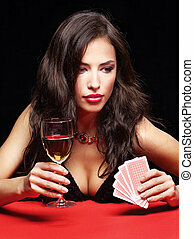 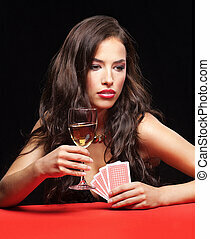 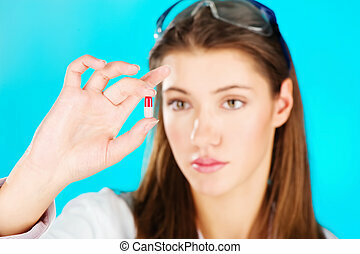 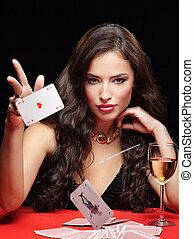 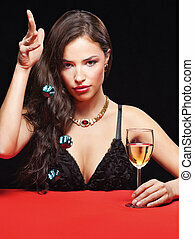 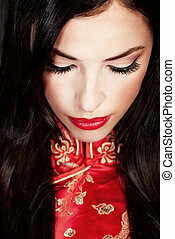 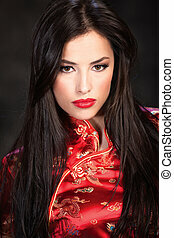 Pretty young woman gambling on red table. 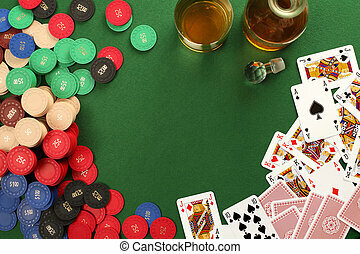 Photo of a poker table with gambling chips, cards and whisky. 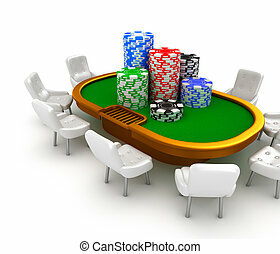 Gambling poker table with chairs and chips on it. 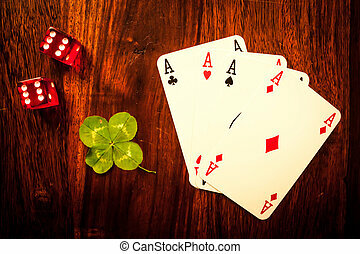 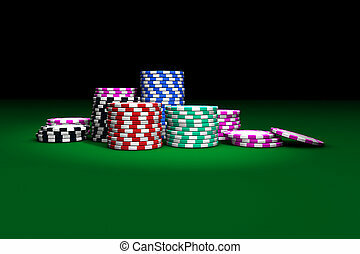 Gambling casino chips stacked on green table. 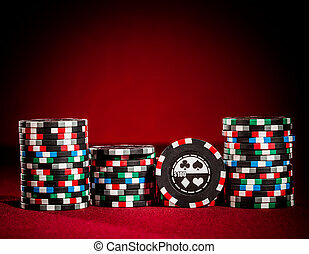 Great background for poker magazines, banners, webpages, flyers, etc.